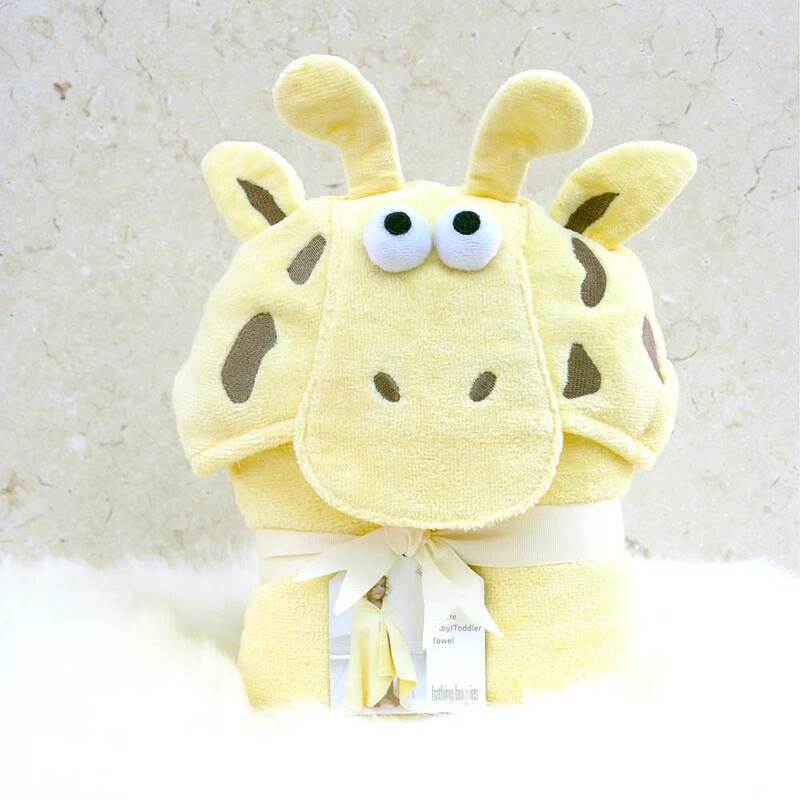 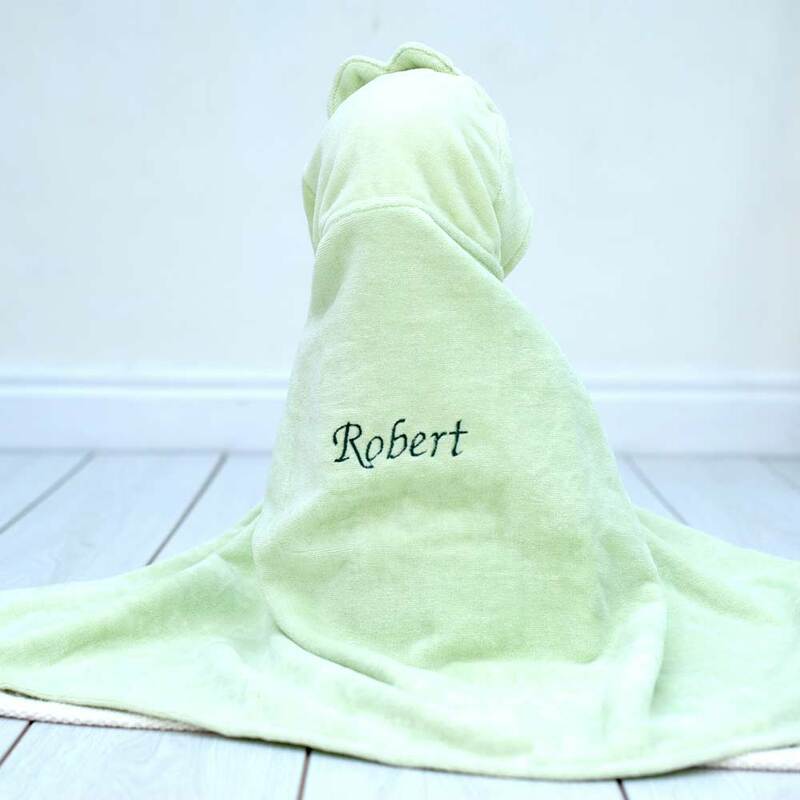 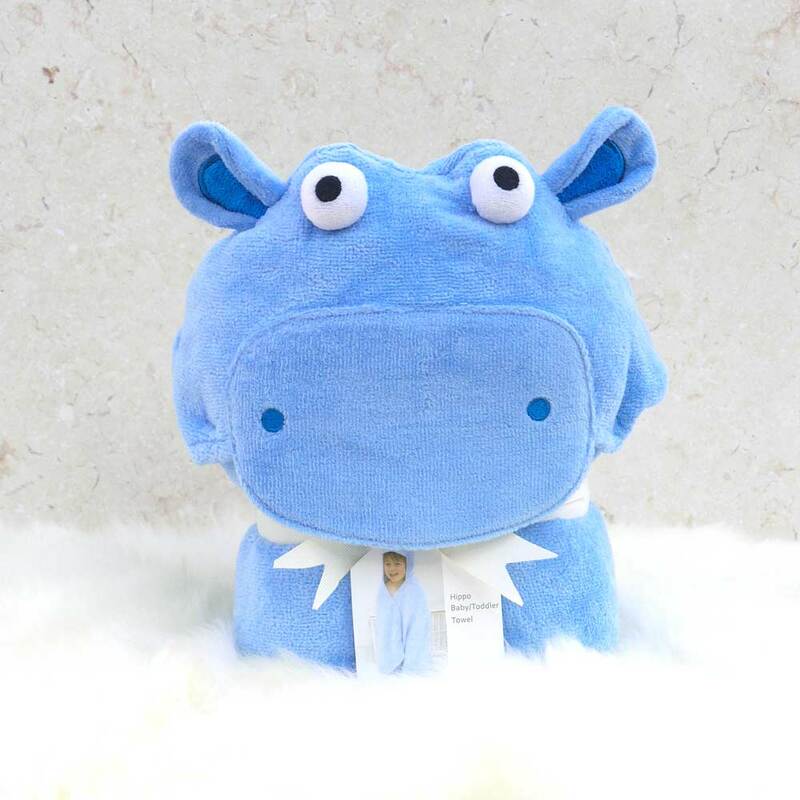 Each of our Crafty Crocodile hooded toddler towels is made using the softest and super-absorbent 100% cotton velour terry towelling which stays plush, wash after wash.
For a really special touch, why not personalise your new Crafty Crocodile toddler gift towel with your choice of name beautifully embroidered on the back. 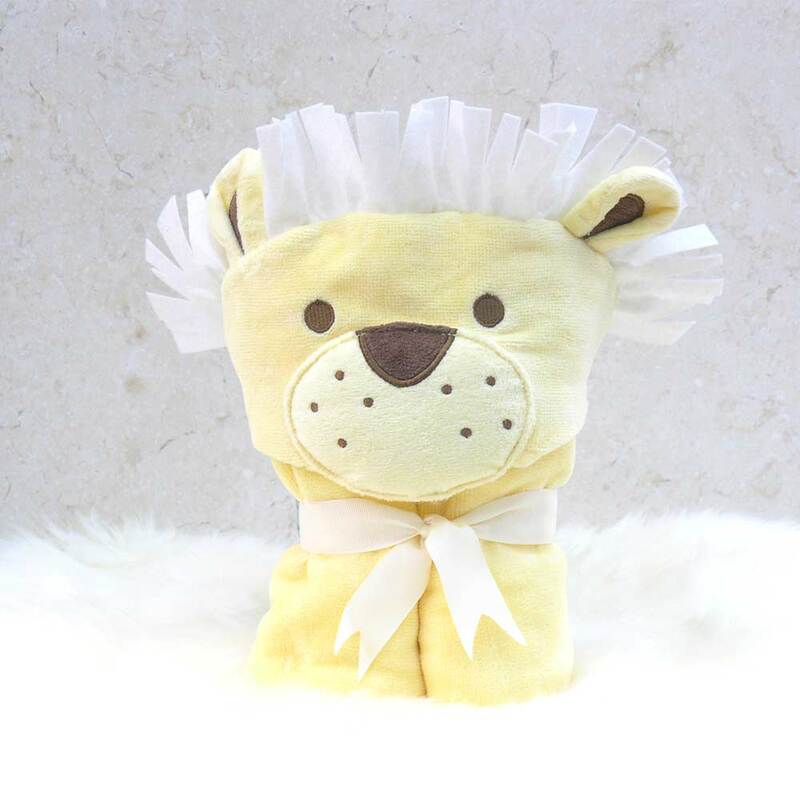 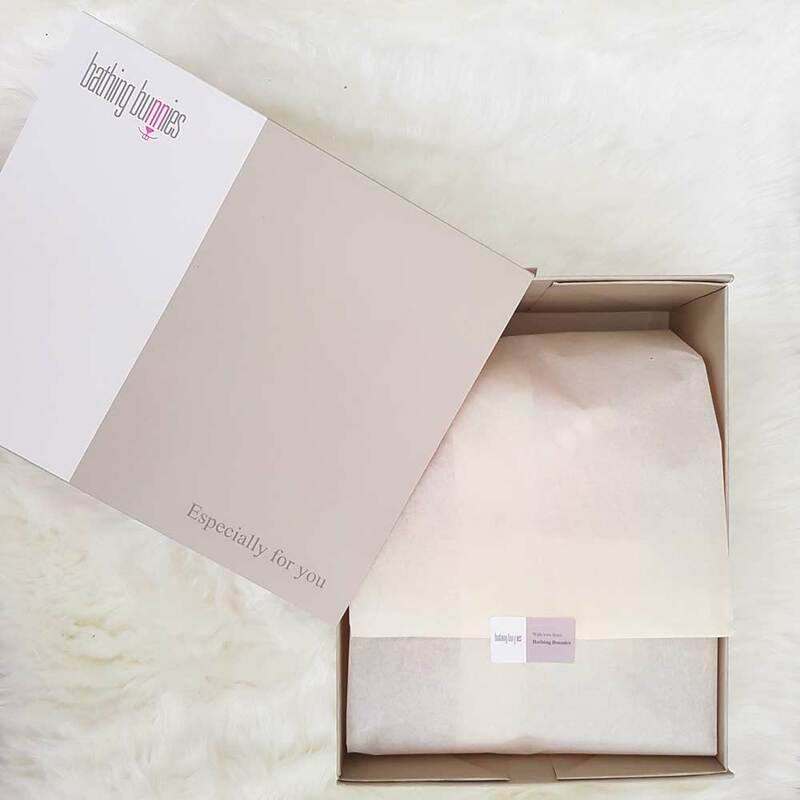 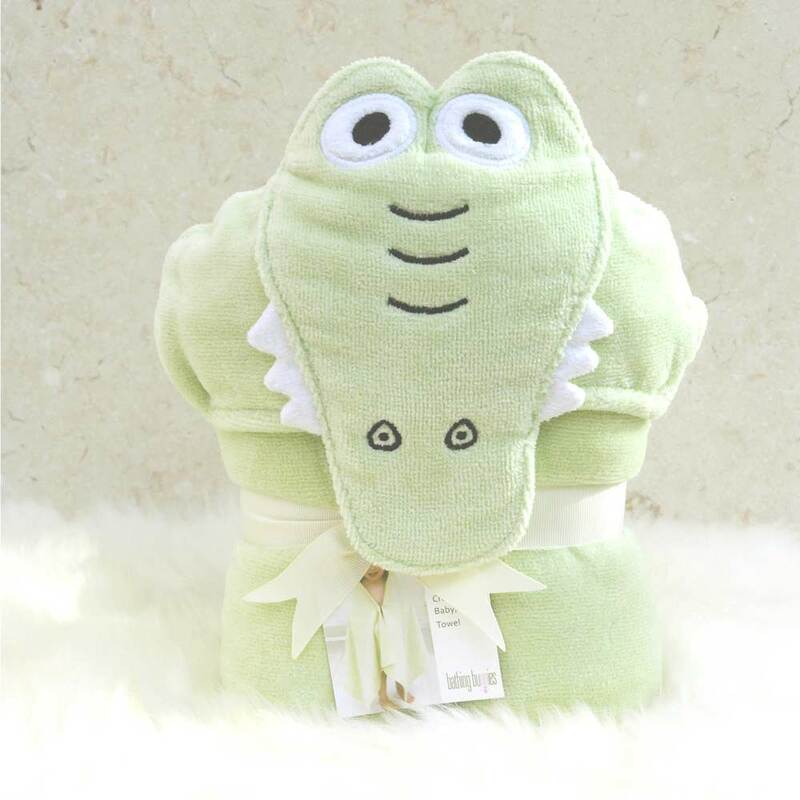 If you select the gift-wrap option, we will present your Crafty Crocodile toddler bath towel in a Bathing Bunnies gift box lined with tissue paper to create an extra special present. 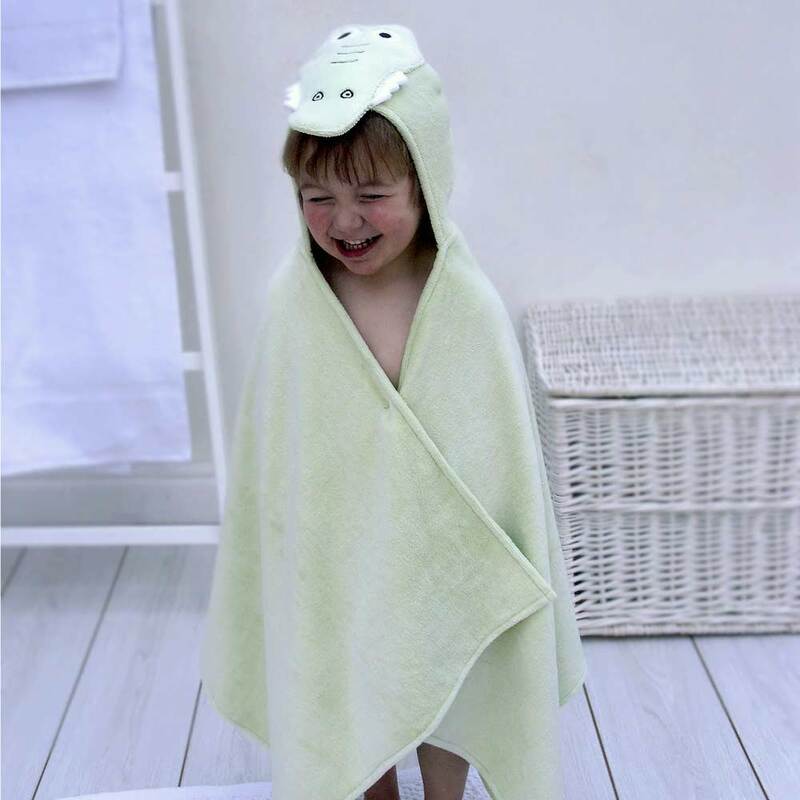 Crafty Crocodile is a luxurious hooded toddler towel featuring a fresh green friendly crocodile complete with a toothy grin!